← Frugal Tuesday Tip: Is it summer yet? May has been _extremely_ busy, especially with a high school daughter who doesn’t yet drive. I’ve been fairly absent from the gym, from my blog, from Facebook and Twitter, everything. Instead, I’m attending to most graduation-related things. And getting her DMACC-ready for the next 8 weeks. I thought I would share that my husband’s family loves the starch-coma-inducing food of waffles. I can’t really stand their version with chocolate chips and cold fake maple syrup, but I thought I would venture out of plain whole wheat waffles and try “blueberry” waffle mix for my child’s birthday. They were OK with our mulberry syrup. I’ll probably make scratch as usual now that I know what I’m dealing with for mixes. On this day, we added a non-graduation event to the mix — a First Holy Communion. When we got home from the communion and following meal, something in air smelled funny. 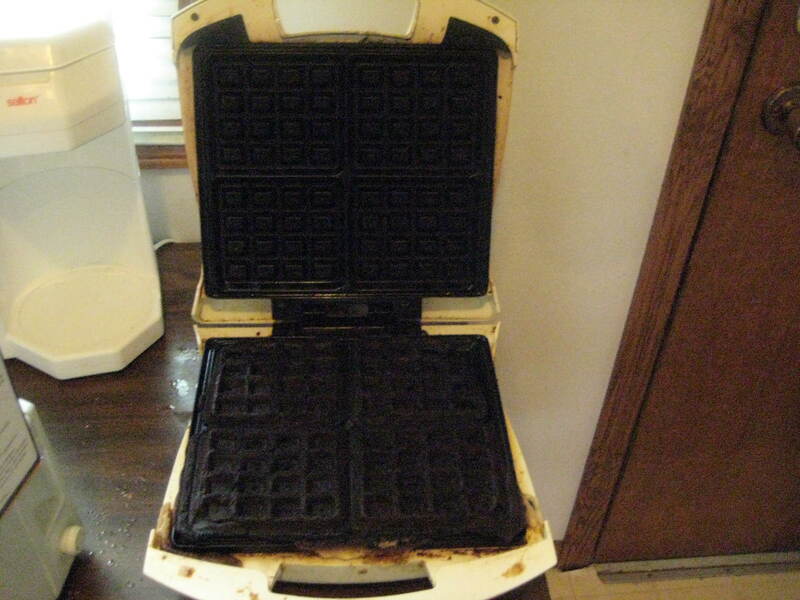 Yes, that is the batter, turned into a waffle, cycling in the waffle iron during our three hour absence! This entry was posted in etc., food and tagged waffles. Bookmark the permalink.